In the past few decades, the self harming act of cutting has become much more popular. While the intent of the self injury is not to commit suicide, the use of sharp objects like scissors, razor blades, pens, pins and more is now more popular than ever. This is often one of the worries we hear from parents at Fire Mountain Programs. After all, parents know these sorts of things happen but they don’t know how to be sure if they are happening to their child or not. Cutting is a difficult situation because not only do parents not want their children to ever be harmed in any way, but there is often no way of know if this sort of self harming is occurring because the injuries are often hidden in places where the parent cannot see. In order to assist Colorado parents and parents everywhere, the post below should not only provide more information about the act of cutting but it will also help you know how to handle the situation should it occur in your house. In the most basic sense, cutting is a maladaptive coping mechanism that teenagers (and some adults) use during times of high stress and anxiety. While this act is hardly ever accompanied by suicidal thoughts, there is no single cause that has been identified. 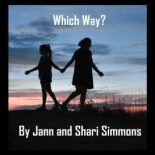 This self-harming pattern does not affect any one cultural or socioeconomic group and therefore, is a reasonable worry for parents no matter who they are. On the other hand, it is worthy of noting that self harm by cutting is more prominent in females than males. For some teens, they claim that the act of cutting is something that allows them to feel in a world that has caused them to feel numb. This “numbness” could be chalked up to feeling emotionally overwhelmed for an extended period of time which manifests itself eventually as a feeling of dullness. 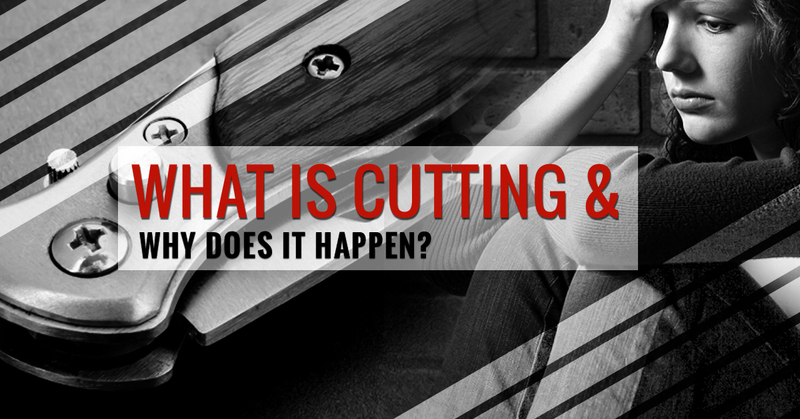 Others say that cutting allows for them to release the emotions that are trapped inside of themselves. This is more common in teens who experience depression, anxiety and stress at extremely high levels regularly. Additional causes for cutting are feeling alone or helpless or self punishment for something the teen did or was done to them in the past. The main theory that people have about cutting is that the endorphins play a large role in the process. When a teen cuts, endorphins invade the bloodstream rapidly, which gives a feeling of both pleasure and relief. In the simplest term, the teen gets high off of it. How can you know if your teen is cutting? There are several ways you can tell if your teen may be cutting, but they all require you to be involved with your child. Many teens who are cutters seem to give off an appearance that everything is fine when they are at school or spending time with family, but behind closed doors, this couldn’t be further from the truth. The first way you can pick up on the possibility that your teen may be cutting is to pay close attention to their mood. Most of the time, teens who are cutting will exhibit signs of depression. On the other hand, if your teen has exhibited these symptoms for quite a while and then out of the blue they seem to be happy for no reason at all, this could be because they have found a release in the act of cutting. Another way you can tell that your teen is self-harming is to look for any cuts or scratches that don’t seem to go away. While teens are sure to get hurt from time to time, the wounds should not be in the same area of their body every single time you notice one. Lastly, pay attention to whether or not your teen is wearing more long sleeves or pants than they normally do. This may be difficult in the winter but if your teen is wearing sweaters and jeans in the middle of summer, chances are you may need to be worried that they are self-harming. If you do discover that your teen is cutting, it’s important that you speak to them from a place of compassion and love as soon as possible. Additionally, you may want to consider finding a therapist for them so that the root of this harmful action can be identified. We also offer counseling at Fire Mountain and would be happy to help your child. Contact us today to learn what we can do for you and your teenager. With a talented staff of mental health professionals, counselors and plenty of different forms of therapy offered, we will go above and beyond to help your teen find relief from whatever it is that is causing their pain.